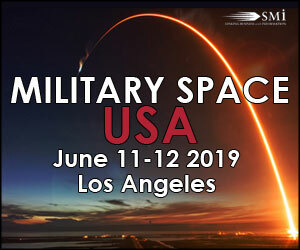 Keith's note: Wow, the space advocacy community has been rather fertile this past week spawning not one but two new organizations - all of this on the heels of a anonymous meeting of the usual space advocacy suspects. 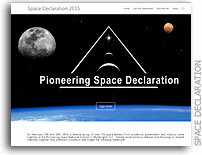 This newest anonymous group is called \"Pioneering Space Declaration\" (spacedeclaration.org). No press release has been issued. Instead this group just appeared out of nowhere. It seems to have been spawned by Rick Tumilinson's Pioneering Space Summit last week and has a nifty Illuminati-style logo. They want you to sign their two sentence \"declaration\" but they do not list a single human name to signify who is actually behind this latest organization. Nor do they tell you what they will do with your name and contact information.\n\nBut they do show lots of logos. Most are familiar - but some are mysteriously unfamiliar. 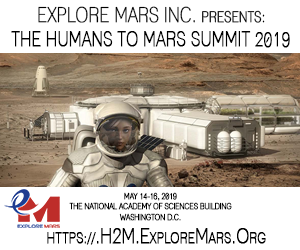 But they then post this: \"Disclaimer - These companies and organizations supported the Pioneering Space National Summit at which this statement was drafted and approved. Their appearance here does not infer official endorsement of the declaration. At this time they may or may not be involved in future activities or actions in regard to the declaration.\" So ... these groups do/do not endorse this declaration - and they \"may or may not be involved\" in what is happening now or in the future - but we won't tell you - or maybe we will - or maybe we just did. Now THAT is illuminati-speak!\n\nThey do state that they are \"a diverse group of over 100 space leaders\" albeit anonymous space leaders - in keeping with the whole illuminati meme. 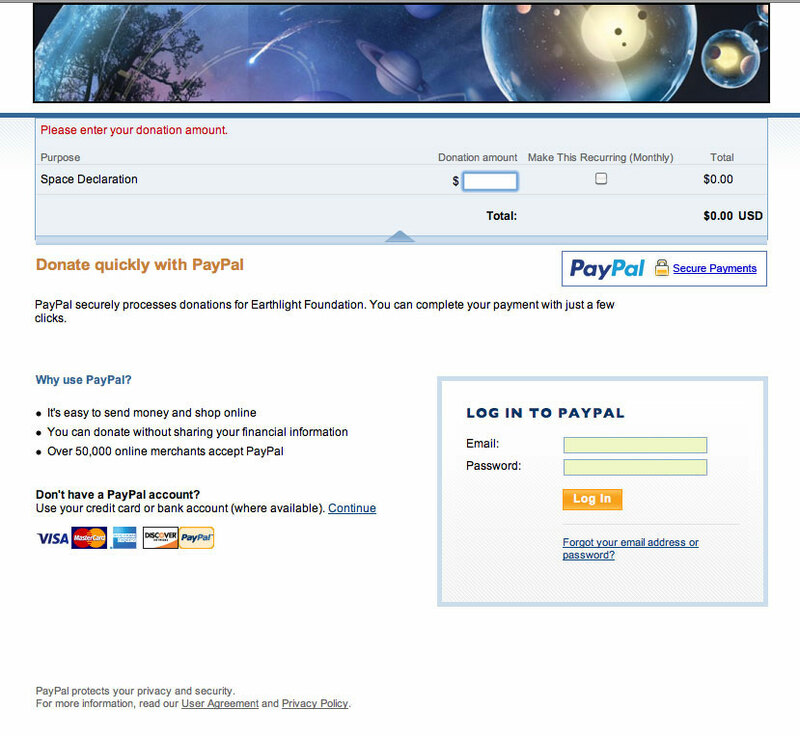 They also want you to give them money via PayPal to yet another mysterious group: the EarthLight Foundation (earthlightfoundation.org) which has no individual names affixed to it either although Tumlinson has mentioned an affiliation with it. As you will see in the comments section below this organization's 501(c)(3) status has been revoked by the IRS.\n\n Keith's update: The donation link for the Earthlight Foundation has been removed - this is a screen grab of the page it used to send you to.\n\nThe week is still young. Will we see more space advocacy organizations popping up? Stay tuned. This is starting to sound like a Dan Brown novel. 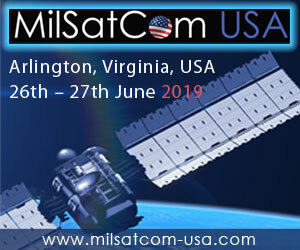 \n\n Keith's update: The Space Frontier Foundation just issued a press release titled \"Historic Consensus Achieved at Pioneering Space Summit 2015\". \"Historic\"? Really? How so? Half of the space advocacy community was left out in the cold during this closed session - and no mention is made of planetary and space science in the final summary statement. Baffling. 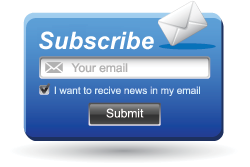 This page contains a single entry by Keith Cowing published on February 23, 2015 1:11 PM. Alliance for Space Development Revealed (Yawn) was the previous entry in this blog. Throwing Shade on Mars One is the next entry in this blog.